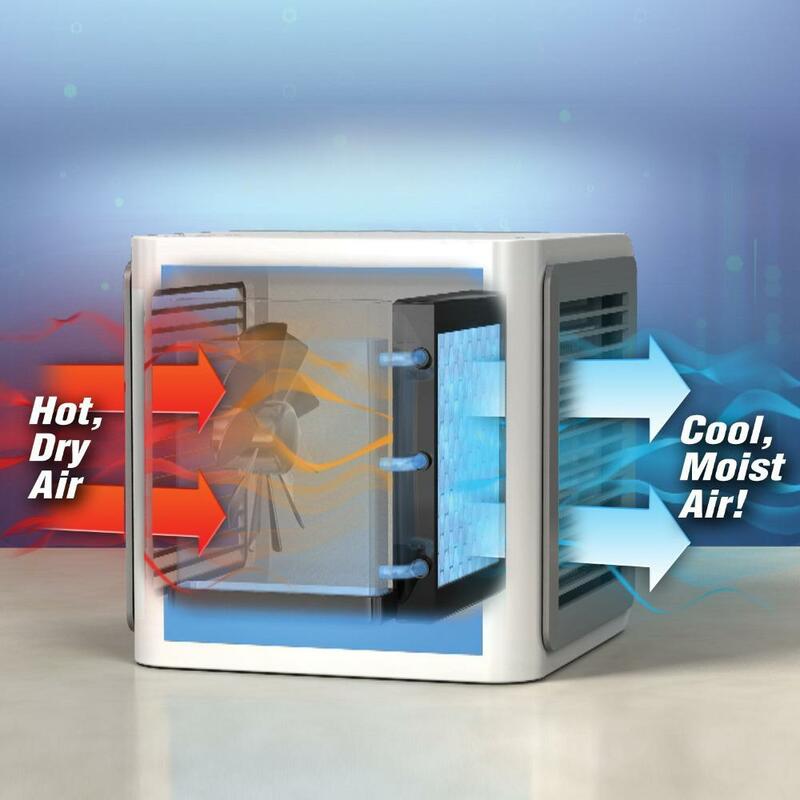 The Magic Polar Cooler is an evaporative air cooler that allows you to create your own personal climate. The whisper-quiet fan and soothing night light make it perfect to use throughout the night for a comfortable sleep. The built-in LED mood light can be set to any of it's 7 color option, set to color-cycle mode or turned off with the touch of a button. Sleek, light-weight, quiet and efficient. This is a great way to beat the summer heat and stay cool no matter where you are. Save money on electricity bills! Running other air conditioners all day long can cost a lot of money and take up so much space. 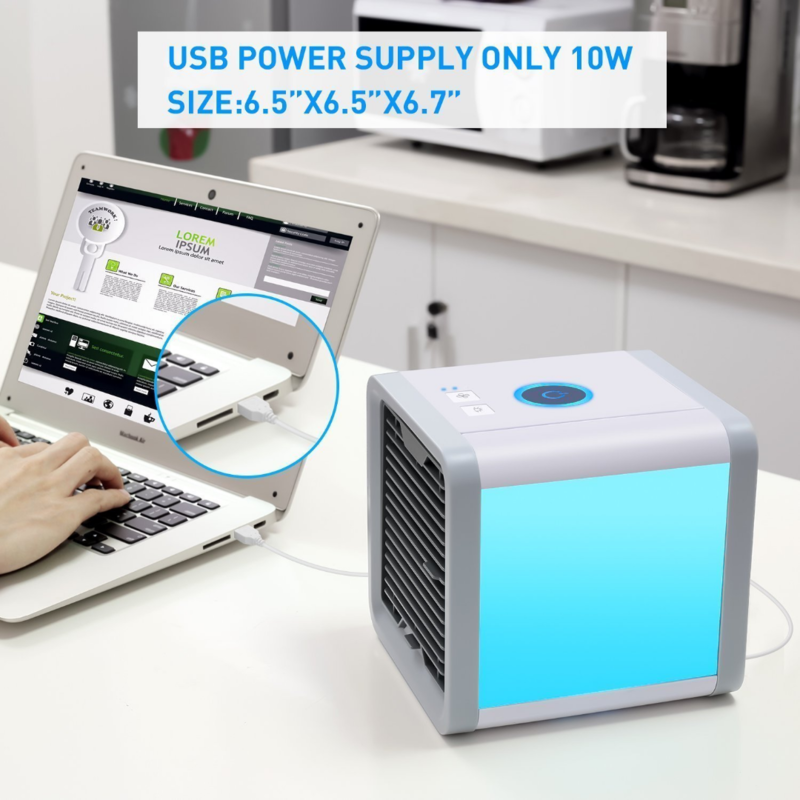 The Magic Polar Cooler sleek, compact design fits nicely on your desk, nightstand or coffee table – wherever you need it! 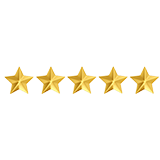 It’s great for dens, reading nooks, work, dorm rooms, offices, home offices, campers, work spaces, benches, basements, garages and more. 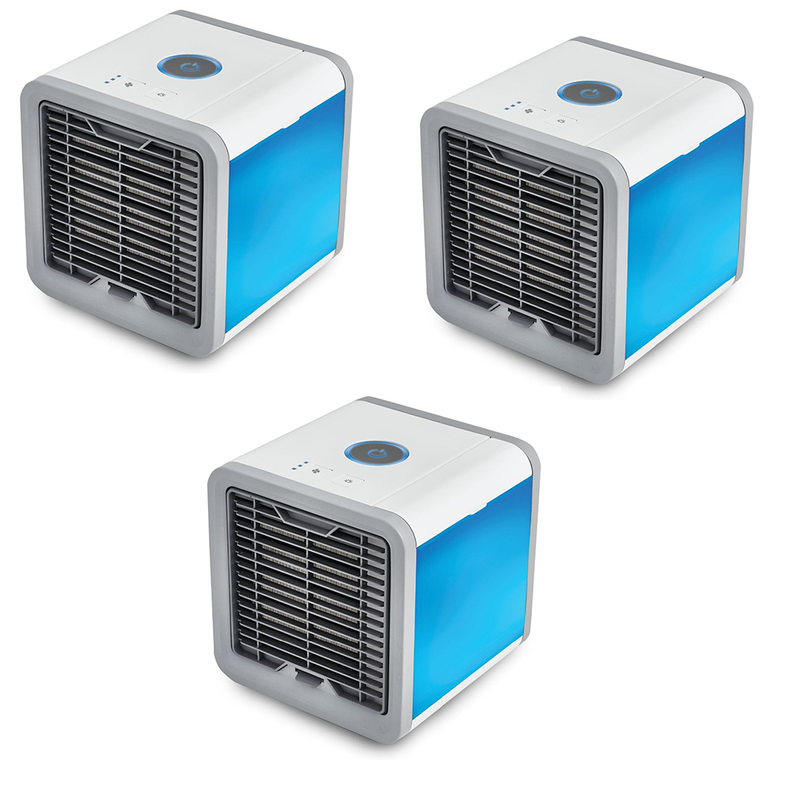 What do our customers have to say about the Magic Polar Cooler? I bought this small ac unit to help regulate some air flow in my office. I sit in a tiny cubicle in the back and it's beyond stuffy! It is of great quality and keeps my space constant with fresh air. I thought it would be inconvenient and messy to have to add water, but it isn't. I love how small it is, so it doesn't take up a lot of space on my desk. Well worth the money! 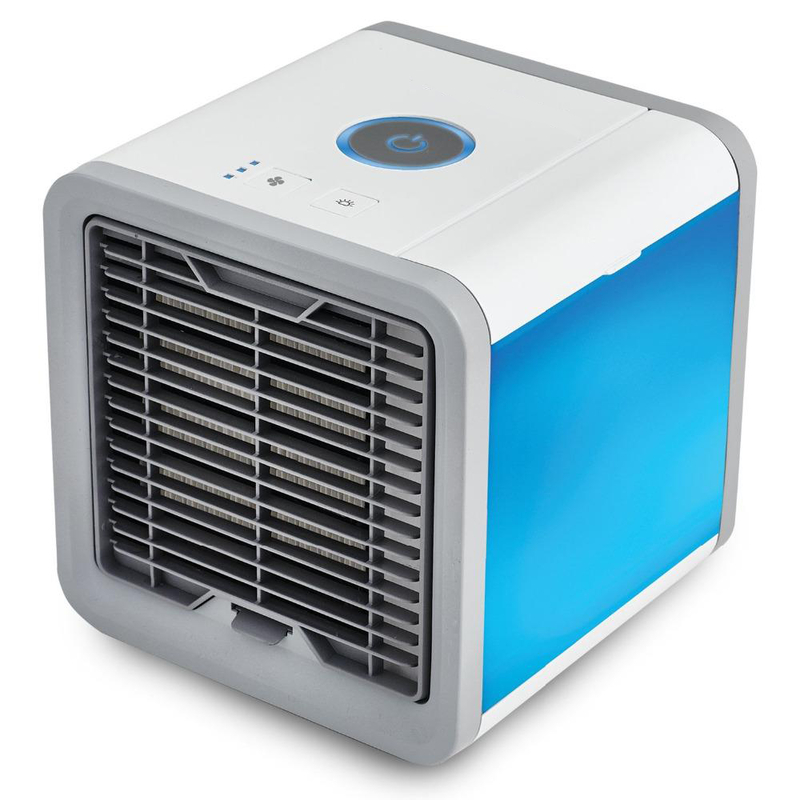 I bought this personal cooler for our hot summer in Texas. The cost to run my air condition unit is very high. So, I decided to try this cooler unit. It's very simple to set up and use. Just lay on a flat surface, plug it in, fill with ice water, turn on, adjust to one of three fan levels, turn on refrigerant, if necessary, and you're done. This personal cooler unit is awesome!! I get hot flashes at night even with the central air and ceiling fan on. I put this small misting air conditioning fan next to my bed and problem solved! I sleep so much better not waking up all night with hot flashes. It does not make much noise, the little that it does is relaxing. You can add water to the air conditioner tray to make it cooler. Very happy I bought it! 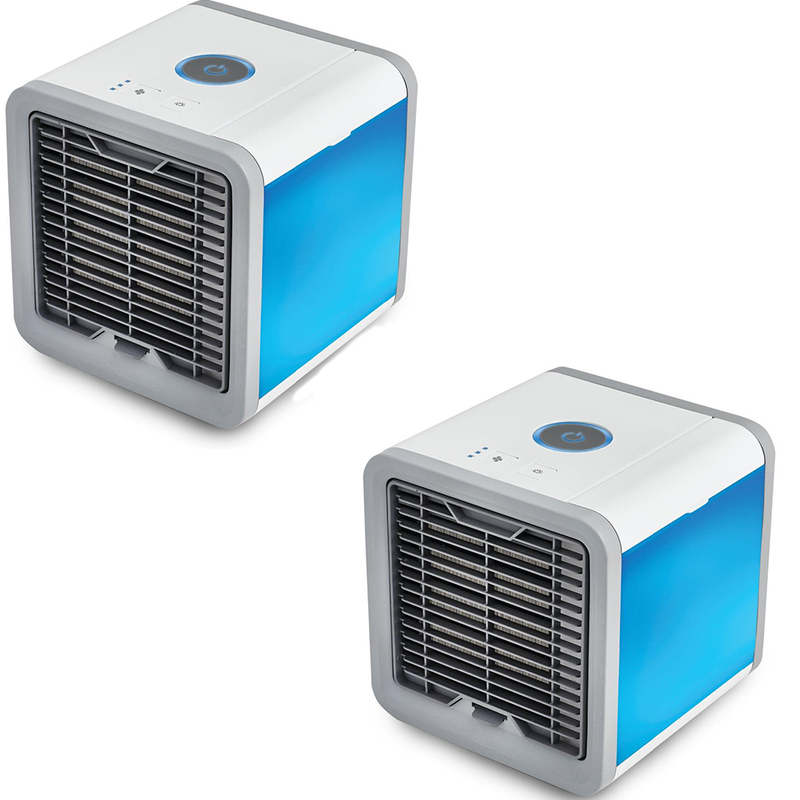 Try the Magic Polar Cooler out for 30 days and if you don't like it, you’ll get your money back! SAVE $20 ON EACH COOLER! Copyright © Magic Polar Cooler. All rights reserved.